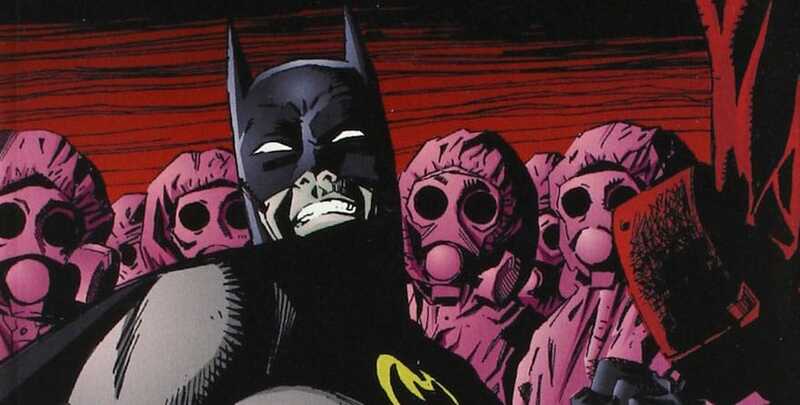 Batman: Contagion is a 1996 arc which involves a devastating virus coming to Gotham city and the Bat family scramble to find the cure before it’s too late. The Bat-Family during this time in Batman’s timeline are Batman, Azrael, Nightwing, Robin III, Oracle and Catwoman. It begins a chain of events which ultimately leads to No Man’s Land but it is a self contained storyline as opposed to a precursor. Contagion Collects Batman: The Shadow of the Bat #53-54, Batman #533-534, Detective Comics #700-702, Catwoman #36, Robin #32-33, and Batman: Bane (new version). From the start I really enjoyed the laying of the foundation for Contagion – how the virus came in and no one was aware of what was coming – it felt like I was about to read a Hollywood movie with Batman in it. Azrael’s ominous report that the Order of St. Dumas have sent the virus really sets the tone that this is serious and everyone’s going to need their thinking caps on to stop this. This may have been just to keep the whole St. Dumas thing relevant but it actually really worked and made sense in the Batverse. 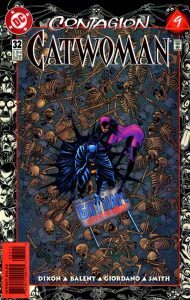 Chuck Dixon dominated Batman in the 90s and some may be put off by reading more and more from him if they didn’t like, say, Knightfall. But, I would say that this particular combination of writers and artists produced a crossover arc that really wasn’t convoluted as many people expect. As Contagion progresses there’s a lot of interesting team ups going on, notably Robin (Tim Drake)/Catwoman and Azrael/Catwoman and the dynamics really worked for me as something refreshing. 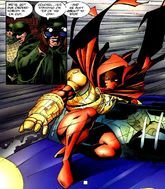 To be honest, of all the books I’ve read which have Azrael I’d say that this is my favourite. Anyway, the teams work well to keep the reader entertained as well as create some refreshing scenarios which aren’t a million miles away from a James Bond movie (read it and see what you think). Robin/Catwoman can be a bit jarring but overall Catwoman shined for me in both scenarios. This was back in the purple suit, long hair days. 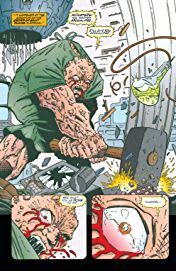 The contagion itself, “The Clench/Ebola Gulf A” has been described and drawn to be a grotesque and painful looking condition and the artists and writers don’t hold back in showing people actually suffer and even die from it. This may put some of the younger audience off but if the virus isn’t that threatening then the book loses it’s tension. The constant tension is what I felt made this book a good one. This is especially heightened during the Babylon Towers lock in as Dixon and Co. explores a virus in one contained area- it is an explosive and quite tragic part. Poison Ivy also features here and she was done quite well. 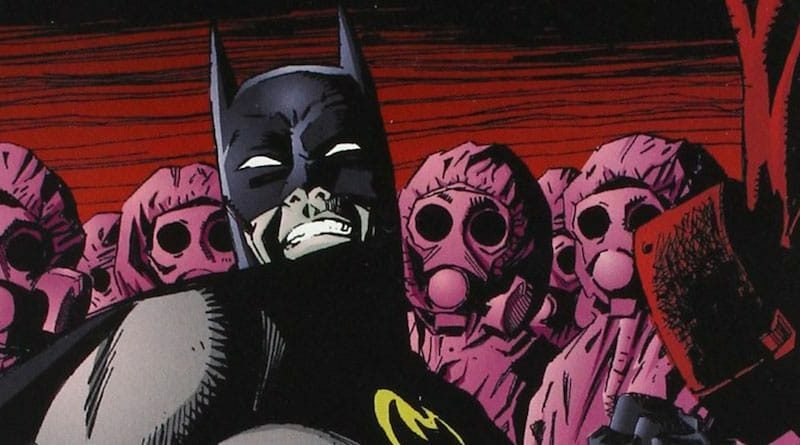 The story has two things going throughout – the first is the Bat family quest to find the cure via a person with antibodies and the second is a glimpse of what the virus (called “The Clench” or “Ebola Gulf A”) is doing to Gotham City, and it’s bad. This gives the whole situation a heightened threat level and that there is something at risk – thanks to this addition it become a page turner quite easily as you are invested into finding out if they can saved (civilians) in time. 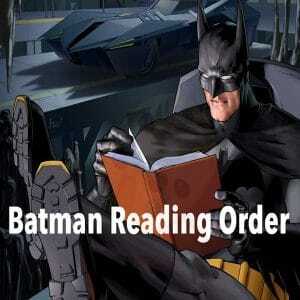 Thrown in is also some political drama surrounding the Gotham Mayorship and James Gordon’s role in the affair. 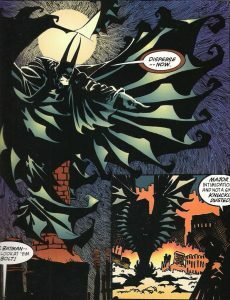 As far as crossovers go, Contagion doesn’t change the pace or artwork too much other than one particular part in the middle, Shadow of the Bat, I think where Kelley Jones’ unique style comes in which resembles Haunted Gotham. But, it doesn’t last long and it’s actually a decent issue otherwise. I felt that Huntress was a bit too heavy handed when she appeared and that she didn’t appear quite enough, Dixon announced her appearance as if she was here for the long haul but then she soon vanished without explanation. As far as the ending goes, all I can say is that it happens as bit quickly and there’s no closure for the Bat-family. However, we may see it in Legacy which follows this. Overall, this book is one of my favourites from the 90s era for sure. A great plot full of tension and plenty of character development for all involved. Perhaps the ending let it down by being too ‘easy’ and over too quickly but no book is perfect and endings are notoriously like this in comics, I find. If you’re looking to get some classic collected editions from the Knightfall era then we definitely recommend this one.